Looking up reveals some paint still visible on the smoke damaged ceiling of the Pronaos. This hall is held up by composite capital pillars. 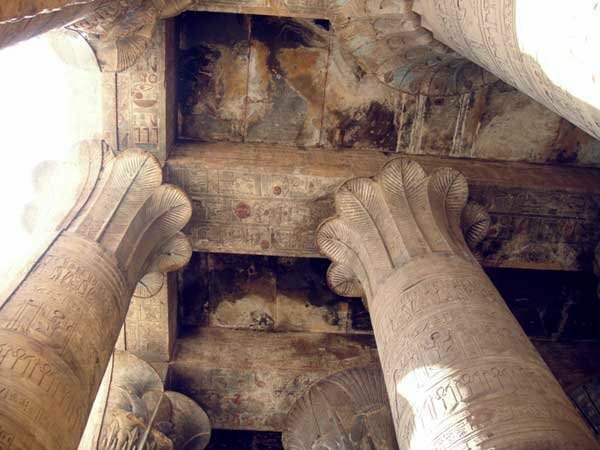 Composite capitals utilize different floral types and designs making each column an individual.